Techno flex is an ISO Certified company and affiliated with CRISIL Rating & NSIC. We, at Techno flex, are committed to supply safe and good quality products to our customer by controlling the procurement of raw material and monitoring the process parameters. Approved for direct burial and in concrete trade sizes 3/8" through 4". 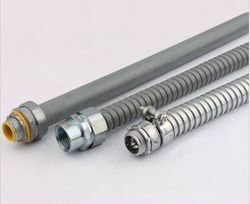 Offering you a complete choice of products which include Flexible Conduits Accessories such as Conduit accessories, Zinc Dye Casting Coupling, SS Conduit Gland, Cable Glands, Brass Lock Nuts & Stopping Plugs, Brass Reducer & Enlargements and many more items. 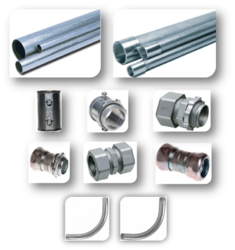 As an electrical conduit fittings manufacturer, Techno flex strives to exceed the expectations of our customers. 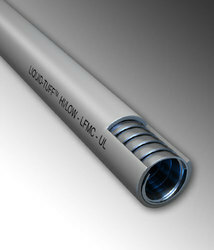 With our expansive inventory of products, including Rigid, EMT connectors, EMT fittings, PVC and Flexible Conduit fittings, Techno flex can deliver the fittings and electrical products your customers need—when they need them. Our electrical fittings are always in stock and ready for fast delivery. 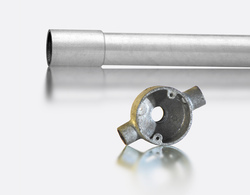 Our electrical conduit fittings are guaranteed for life to help increase your customers’ confidence in purchasing products from you.